Be inspired by Merewether's idyllic holiday lifestyle in this first-floor apartment that provides a comfortable home base with exciting scope to personalise at leisure. Beautifully private, bright and airy interiors include a sunny living room, well-maintained retro kitchen and bathroom, two generous bedrooms and enclosed sunroom. Positioned directly opposite Bar Beach Bowling Club and only a 200 metre stroll to the oceans shore, the ease of living on offer at this address ranks among the area's very best. 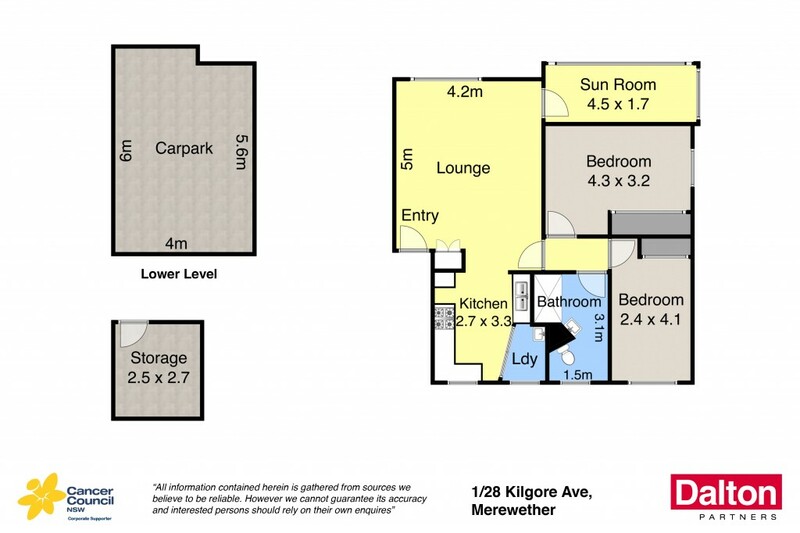 * Solid opportunity to enter the Merewether market. * Practical floor plan with scope to further enhance. * Air-conditioned lounge room basking in natural light. * Two robed bedrooms plus liberally sized sunroom. * Neat and tidy bathroom and kitchen; internal laundry. * Single car park plus valuable lock up storage. * Small well-kept complex close to beach, cafes and shops.